Who needs WORDS with a picture like THIS????? Oh pals you look so cool posing away you could be models. aawwww such a cute picture of the two of you. 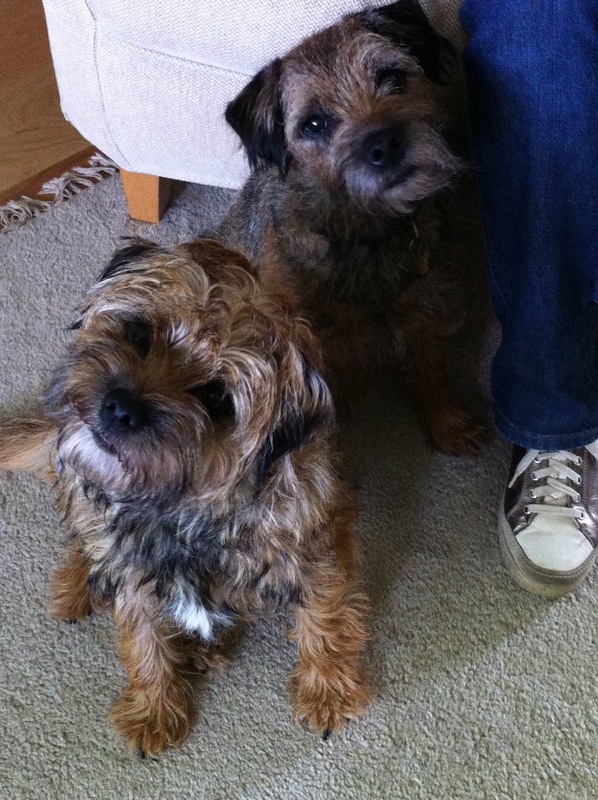 Paw there looking like butter wouldn't melt - bless yer little loving hearts! Hey, how comes one of you by all short furred and the udder be all wild and crazy? Do sumbuddy need a plucking? YIKES!